Democrats are sounding the alarm in the wake of President Trump’s booted Jeff Sessions as Attorney General on Wednesday. Top Democrats including Senate Minority Leader Chuck Schumer of New York and Rep. Adam Schiff of California, the ranking member of the House Intelligence Committee, have raised fears that firing Sessions could hint that Trump plans to undermine the special counsel Robert Mueller’s Russia investigation. 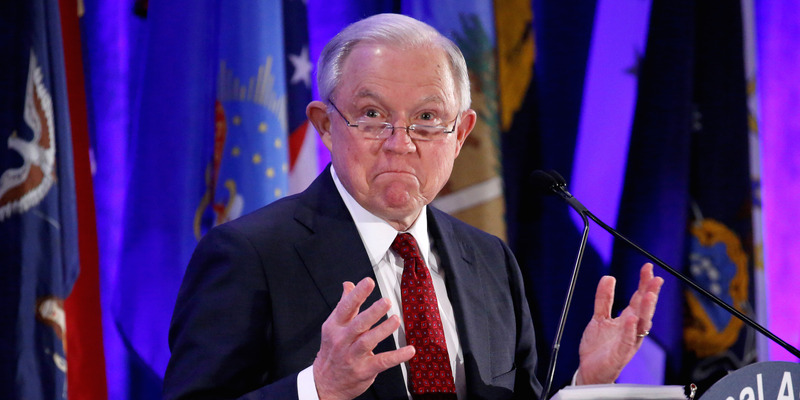 A chorus of Republicans, including Sen. Susan Collins of Maine and the Senator-elect Mitt Romney of Utah, have also issued warnings following Sessions’ departure. Democrats are sounding the alarm after President Trump’s booted Jeff Sessions as Attorney General on Wednesday.